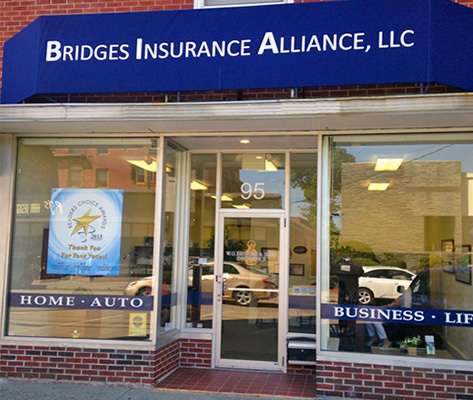 The Bridges Insurance Agency was founded in 1957 and is still located just feet from its beginning days and still serving the Weymouth and surrounding communities with a wide range of insurance products from top carriers in our region. At Bridges Insurance Alliance we are committed to providing you choice, flexibility and great customer care from a staff with well over 50 years of experience and service and partnerships with the most respected carriers in the industry. Serving The South Shore Since 1957. Get Your Free Insurance Quote! Our team is dedicated to serving our local Weymouth and South Shore, Massachusetts area customers by understanding your needs and providing you with the right insurance coverage to keep you happy and safe. Copyrights © 2017 All Rights Reserved. Website by DeBlasio Marketing.